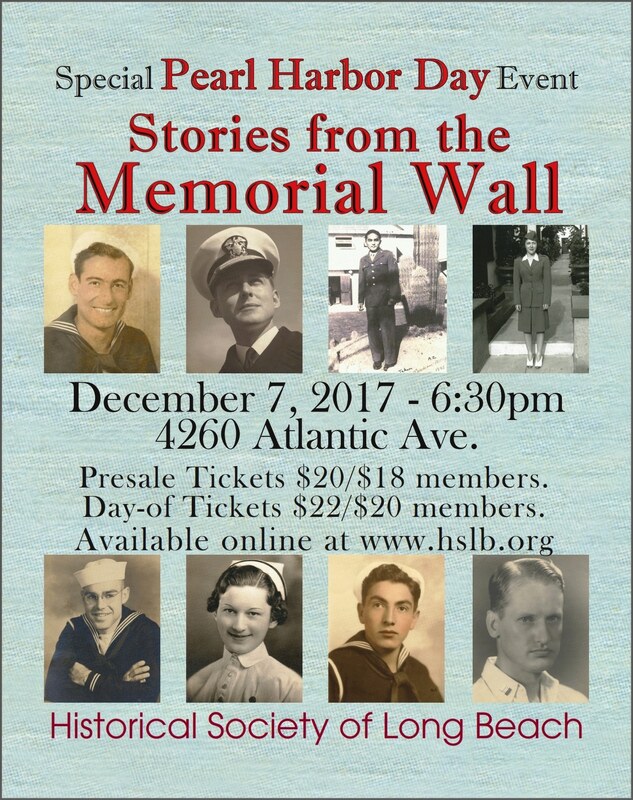 December 7, 2017, 6:30 p.m.
On December 7th the Historical Society of Long Beach will highlight some of the unforgettable stories on its Memorial Wall. As part of our Long Beach Remembers Pearl Harbor exhibition we created a Memorial Wall with the names of people who made significant contributions to World War II, Long Beach and the nation. At an evening event on December 7th we will commemorate those who served. While all the stories on the Memorial Wall are outstanding, we selected several to tell that evening. 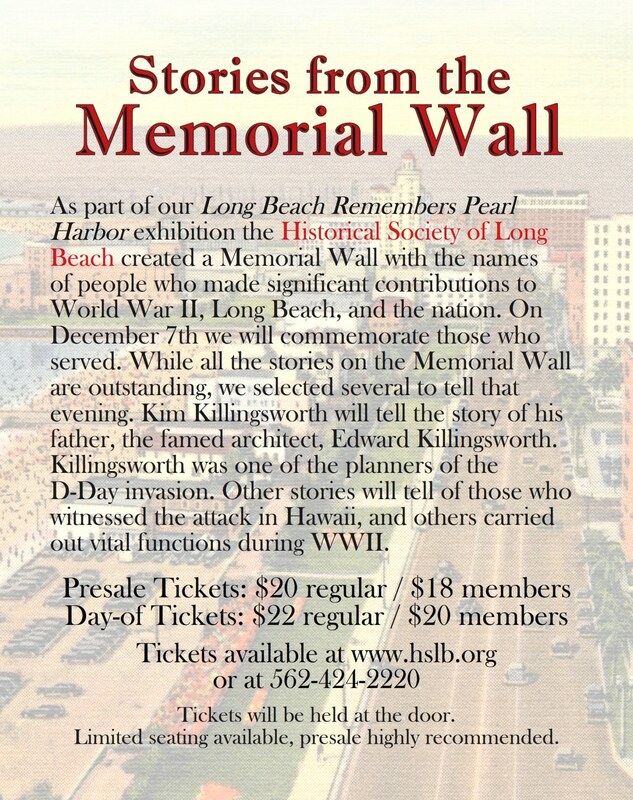 Kim Killingsworth will tell the story of his father, the famed architect, Edward Killingsworth. Killingsworth was one of the planners of the D-Day invasion. 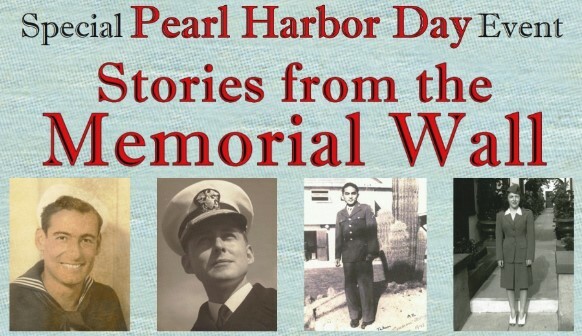 Other stories will tell of those who witnessed the attack in Hawaii, and those who carried out vital functions during World War II. Update: Tickets may still be available by phone at 562/424-2220. Tickets will be held at the door. The December 7th program was originally planned to be Craig & Lucy Remember Pearl Harbor with Craig Hendricks and Lucy Daggett. Due to unforeseen circumstances that event will be postponed until 2018.